Farrington Park is the ultimate in golf day venues. Experience the very best of Somerset’s spectacular landscape at our award-winning golf course and facilities. Situated in 200 acres of rolling Somerset countryside, the former Duchy of Cornwall estate has been transformed into 27 holes of exciting and challenging golf. 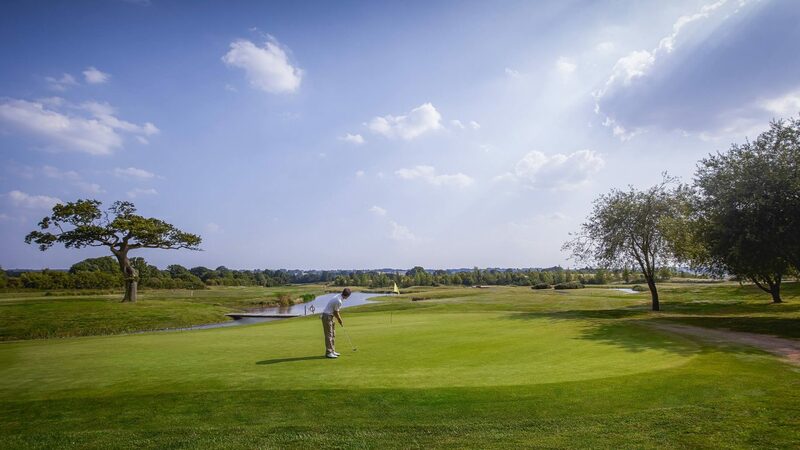 With four sets of tees on each hole and a reputation for the best kept golf courses in the area, all levels of golfer will enjoy their day out with us. The Par 72 Duchy Course was opened in 1995 and has matured into a beautifully conditioned variety of parkland and lakeland golf holes. Measuring 6,700 yards from the white tees, 6,300 from the yellow tees, 6,000 from the green tees and 5,600 from the red tees, the course can be enjoyed by golfers of all abilities. The undulating U.S.G.A. specification greens will test even the best putters and the excellent drainage guarantees all year-round golf. The 9 hole Par 27 Manor Course offers a good test for all golfers. With holes ranging from 80 yards to 240 yards and USGA spec greens it is no pitch and putt course! We are renowned for our welcoming atmosphere, superb dining and the attention to detail that turns a good event into a great one. Our Golf Days offer outstanding golf in stunning surroundings, plus great food and a warm, relaxed welcome. Contact us to design a day that’s tailored to you, or choose from one of our range of great value packages: Minimum of 8 players from £22. Postcode: BS39 6TS From Bristol: Take the A37 south from Bristol to Farrington Gurney. Turn left at the lights and first right into Marsh Lane. From Bath: Take the A39 to the junction of the A37. Turn left to Farrington Gurney. Turn left at the lights and first right into Marsh Lane. From Wells: Take the A39 towards Bristol until you reach Farrington Gurney. Turn right at the lights and first right into Marsh Lane.